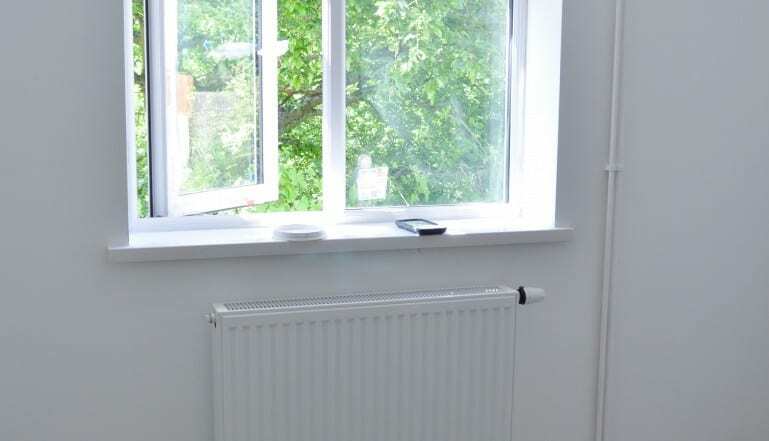 The specification of high efficiency, energy saving Radical radiators from Stelrad has helped transform some tiny bed sit properties, into desirable, modern single people homes that a Housing Association in South Wales could let by the dozen if they had them available in larger numbers! Many social landlords around the UK are finding they have elderly properties in their portfolios that used to be acceptable quality homes that are simply not fit for purpose any more. The options they have are knock them down and build new homes on the sites or to re-model the homes if there is room to do so. Monmouthshire Housing Association is a leading social landlord in South Wales, with around 4,000 properties under management spread over a large geographical area – pretty much the whole of Monmouthshire. Amongst its properties are a number of tiny, one bedroomed bedsit type bungalows, which were fine when they were built back in the 1960s, but which today fall short of the aspirations of potential tenants. They offer a single room in which tenants’ live and sleep with a tiny bathroom and kitchenette – most existing tenants find them cramped at best. The Association decided that there was space around the properties to revamp them and turn them into attractive, good sized, energy efficient one bedroom bungalows. Monmouthshire Housing Association’s Heating Services Manager Adrian Simmonds takes up the story: “There are eight very tiny bedsit properties at The Bryn, near Abergavenny and re-letting them has been a challenge. They really needed gutting and re-building to provide decent sized living accommodation, with upgraded, energy efficient heating systems and new kitchens and bathrooms. This would transform them from small one person dwellings into modern, attractive one person or possibly older couples’ homes. “We drew up plans to revamp the properties that would see the addition of a single story extension to the back of each property providing a separate and good sized bedroom. The old bedsit room would then be transformed into a living room, with the addition of a bathroom and a kitchen, with a storage cupboard that could contain the heating system controls. The new renewables driven heating system would be ‘state of the art’, driven by an air source heat pump with a solar thermal panel on the roof to provide most of the hot water and the latest Stelrad Radical radiators – energy saving models – that would ensure that the new homes – for that is what we were providing – were warm and cosy in the winter but light and airy in the summer. Impressive levels of insulation and new double glazed windows and total redecoration throughout – the results would be tremendous. Radical radiators offer a number of benefits including the fact that they’re faster to warm up than a standard radiator – the front panel warms up 23% more quickly in fact, they offer comfortable warmth even with low temperature systems such as air source heat pumps and more quickly – reaching a comfortable temperature up to 8% more quickly, and they offer higher feelings of comfort from increased radiant heat from the front panels – up to 50% more radiation. 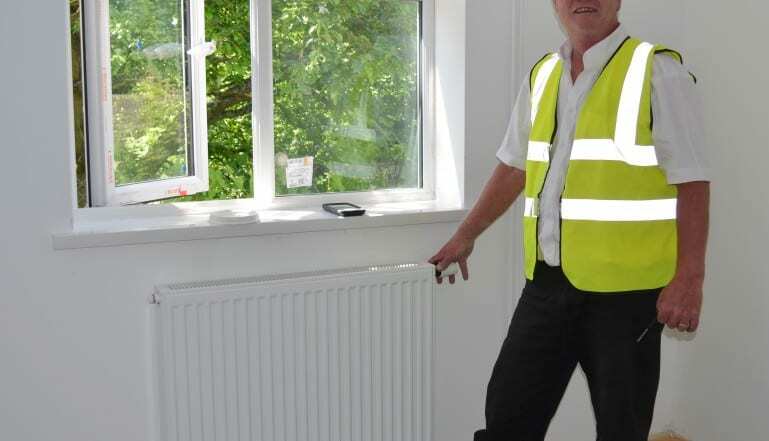 And in addition they are the first genuinely energy saving radiators offering a 10.5% energy use saving which translates rather nicely into lower energy bills for the tenants, especially when specified in conjunction with other energy saving equipment in a home. It may be a ‘radical’ change in the heating sector but despite all the clever technology that makes it radical and highly effective, it’s the radical change to heating bills that is making this new innovative product popular across the UK!